These guys are incredibly busy. Viral Nation is their number one priority. Who needs food and rest, anyway? That willingness to put in the hard work has led Viral Nation to where they are today: on pace to quadruple in revenue this year, pretty incredible growth for a company that started in 2014. So maybe it’s the willingness to put in the hard work, coupled with work that’s actually demonstrating results for their clients. But what is their work, exactly? Social media marketing encompasses a lot of different things. If Viral Nation were software, we might call it a “turnkey, end-to-end” solution—and, in fact, doing so would actually highlight how software can never really, truly, be end-to-end. The most fully-featured influencer marketing platform, for example, can’t compete with Viral Nation’s services in that area. It’s a fair point. I know how to change the oil in my car, and rotate its tires. And if I had access to a fully-stocked garage, with every tool an auto mechanic might need, that only means it’ll be much easier for me to change my oil and rotate my tires. It doesn’t automatically qualify me to able to replace a head gasket, or rebuild a transmission. I still need to call a mechanic for those jobs, and even run the risk of making things much worse if I screw something up. The same goes for influencer marketing—just because there are tools to support a DIY effort doesn’t make that advisable. For one thing, influencer marketing doesn’t exist in a vacuum. To continue the car analogy, influencer marketing isn’t the whole engine of the car; it’s just one component that affects how well it performs. The engine is social media itself, which is why Viral Nation refers to itself as a social media agency. What good is an influencer marketing campaign if it’s not tied to some larger social strategy? Why attract new followers if you’re not spending the time to engage with them and cultivate their loyalty? What’s the advantage of sourcing content from multiple influencers if you don’t have a unifying vision to tie them all together? How helpful can data be if you don’t know how to use it to your advantage? There are a lot of moving parts to manage. While marketing on social involves navigating a long list of variables, including defining the approach and goals, there is one rule that is unconditional: content drives everything else. If the content you’re creating and disseminating isn’t engaging, you’re not going to get very far. Viral Nation ensures their clients get high quality content by employing a “talent first” philosophy. This was the guiding principle right from the beginning, when Viral Nation began life as a focused influencer talent agency. That first year saw them sign 100 influencers to exclusive contracts—no small feat in 2014. The potential to earn as an influencer was becoming common knowledge, but the best ways to do that weren’t quite as understood. For social celebrities of any size to have thrown themselves fully into an exclusive arrangement amounts to a leap of faith on their part. Those initial 100 on the Viral Nation roster didn’t exactly make life changing money at first—the agency booked just $200k in contracts that first year—but they were planting the seeds for what was to come. As Viral Nation continued to sign more of social media’s top influencers, they became the agency brands were looking at to find talent. The company’s focus on talent spread into its newly formed creative department in 2016, as Viral Nation built itself out into a full-service social media agency. The timing couldn’t have been better. 2016 is regarded as the year when influencer marketing hit the mainstream, becoming the Next Big Thing that every company needs to get in on. At the time, the team at Viral Nation noticed two trends. First, software developers were rushing SaaS platforms to market, designed to find influencers and manage campaigns. Second, many of Viral Nation’s new and existing clients reported they’d grown frustrated trying to build and manage their campaigns with software. This is where that focus on talent first paid off. When the top brands come looking for content, Viral Nation is prepared to answer the call. Clients looking for influencers can choose from over 1200 of them, with a collective reach of close to a billion people. If they somehow can’t find the right fit from that group, Viral Nation can easily add any and all influencers they want. Those who need help creating and strategizing their campaigns can tap VN’s marketing team. If it’s custom content they’re after, the creative department handles that. For anyone who’s ever watched “Mad Men,” this mix of talent, strategy, and creative might sound like the familiar services of a traditional ad agency. This is 2018, though, and traditional just doesn’t cut it anymore. When Micheli rails about influencer marketing platforms, remember that it’s not the software itself he has a problem with. It’s the idea that anyone can start marketing effectively simply because they have software. Because of this—and because Viral Nation is a creative, people-powered marketing agency—it’s easy to forget about all the technology that’s running behind the scenes. Clients don’t really need to pause and consider the features and benefits of Viral Nation’s in-house solution; as long as VN is meeting its commitments, they could manage the whole project using a landline and legal notebooks. What their customers DO want is data, which happens to be the biggest selling point of SaaS platforms in general. They want to know basic information about their influencers, of course, like the level of engagement from their followers, which topics and hashtags perform best in their feeds, or whether they’ve worked with (or even just mentioned) other brands before. But they also want to know about the influencer’s audience: Where in the world are they? What are their ages? What topics interest them? What brands do they like? What’s their education level? It’s not the sort of thing that people would associate with a creative agency, which is why Hawley makes it a point during our conversation to emphasise this part of Viral Nation’s offering. “We’re very data driven with what we do. Our decision-making leading up to a campaign hinges on data.” When Viral Nation designs a campaign, they’re using all these inputs to make sure that their customers are not only using the right influencers, but telling the kinds of stories that will be most effective for that particular audience. Once the campaign is done, analysis is performed with the same level of precision that went into the planning stage. “Trust” and “Marketing” are words that don’t normally appear together, another sign that this is a different kind of agency. In its short history, Viral Nation has already worked with some major clients across multiple industries. In the sports world, there’s Major League Baseball and the NBA. They’ve worked with a few tech companies you might have heard of, Apple, Tencent, and HP. Match, Bud Light Crayola: they’ve all tapped the agency for their expertise. 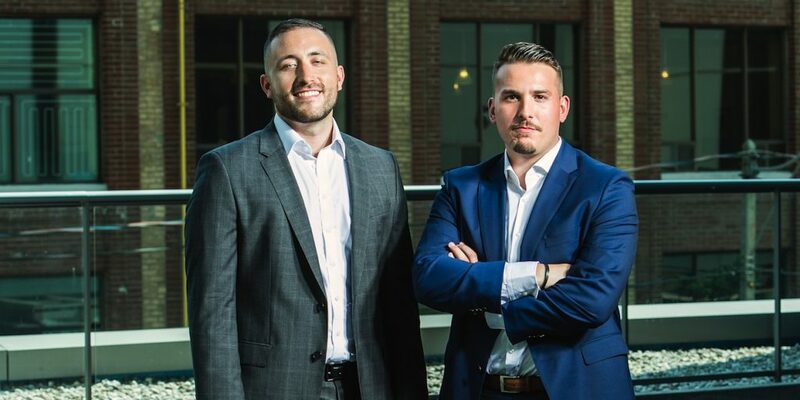 But in speaking with Micheli and Hawley, it’s clear that this past success isn’t something they’re willing to rest on; instead it acts as the fuel to keep them going. They continue to sign the globe’s top talent to their agency, as a push to establish themselves beyond the western hemisphere is in full swing. They’re managing social communities, creating and strategising on paid media as a complementary service to influencer campaigns. The aim is to be a one-stop shop for all social media advertising—a turnkey solution in the way software could never be. And they won’t rest until their success has, well, gone viral.